Beautiful pale gold color with some bluish tints. On the nose, mineral expression of chalk and flint followed by a burst of ripe pear, acacia honey, candied fruits and lemon. 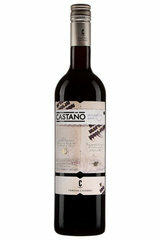 The palate has a beautiful balance of freshness and sweetness with a silky texture. Juicy and ripe, with inviting pear, quince and fig flavors laced with light ginger and honeysuckle notes. Shows a flash of hazelnut through the finish. On the hedonistic side, but has the freshness for balance. Drink now through 2024. 2,060 cases made.